Frontier Developments critically acclaimed space exploration and combat game Elite: Dangerous is today celebrating an impressive milestone as the team announce that the game has reached 1.4 million units sold on PC, Mac and Xbox One. 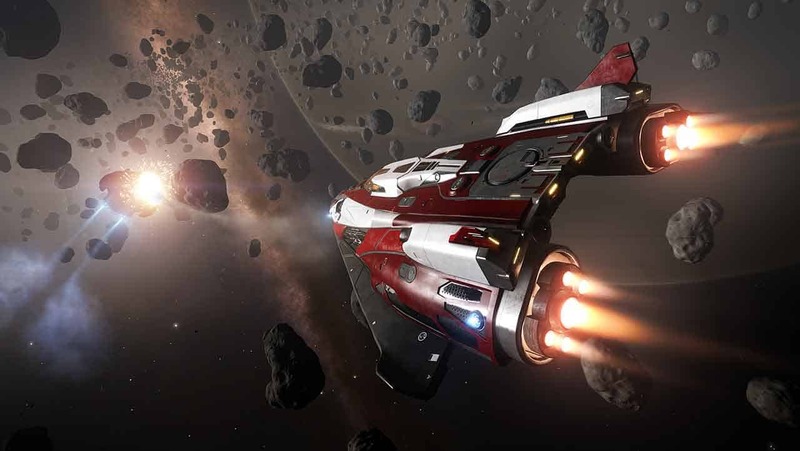 Following a successful crowdfunding campaign on Kickstarter Elite: Dangerous launched on PC under Early Access in December of 2014 and the Mac and Xbox One releases followed in May and October of 2015. The game has also amassed a lot of attention for its focus on virtual reality development which was first experienced in an Alpha form in December of 2013. Since then Elite: Dangerous has become the first AAA title to offer full SteamVR support on Valve’s popular platform. “We have an amazing player community. The average play time among our 1.4 million players is 60 hours – that’s a massive 84 million player hours and counting. Heading into its second year Elite Dangerous recently celebrated the launch of Elite Dangerous: Horizons, a huge stand-alone expansion that includes Planetary Landings, ship fighters and new multicrew support for cooperative fans.